I love guacamole. Yes, call me one of those #basic people who adds it to everything. I love my avocado toast, guac on burgers, using it as dipping sauce with tortilla chips and veggies. If it’s made right, I even want to just eat it with a spoon sometimes. But every once in a while you want to mix it up a bit. What about mango? I also love mangoes. In fact, a mango margarita sounds really good right now, and goes well with guacamole, but I digress. Instead, I’ll marry the two fruits for mango guacamole. It’s ridiculously easy to make. Check it out. Toss everything into a bowl. Using a potato masher, mash it to the desired consistency that you like. See, how easy is that? Now, for those of you who prefer a smoother consistency to your guacamole, you can put all of the ingredients into a food processor and blend it all together. I prefer to have some chunks in mine. Could you use frozen mango pieces to save time? I suppose you could, but remember that frozen fruits have a lot more water in them because of the freezing process. When you let them thaw, there is going to be a lot of excess liquid, even in mangoes. You could let them thaw in a strainer so that most of that extra liquid drains away, but I think you would end up with a really watery mango guacamole. So I wouldn’t recommend it. Fresh is better. If you don’t want to mess with a real jalapeno pepper, you could use just a dash of green pepper sauce for a little flavor and heat. I’m not big into super spicy, so I keep my pepper small or my dash of pepper sauce small. But you don’t want to completely give up the heat. There’s enough sweetness here to balance it out. 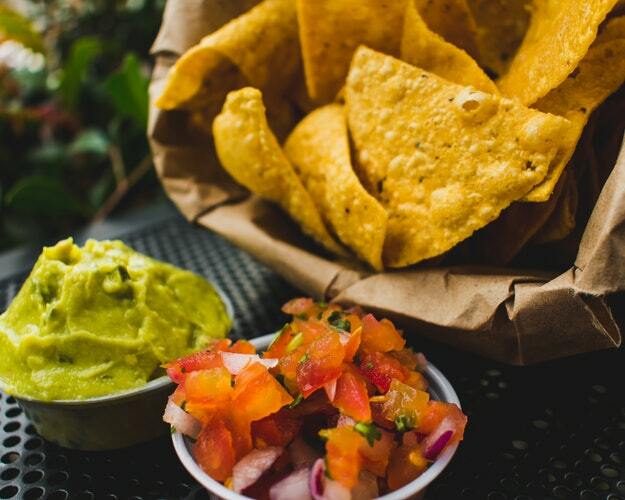 What goes well with Mango Guacamole? 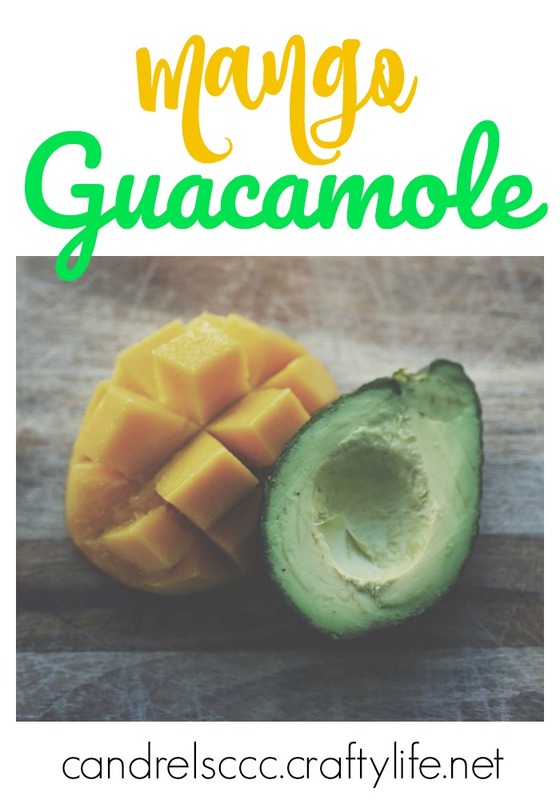 Try serving up mango guacamole with some of these other recipes to give your friends and family a tasty appetizer or snacking spread. And don’t forget the chips!